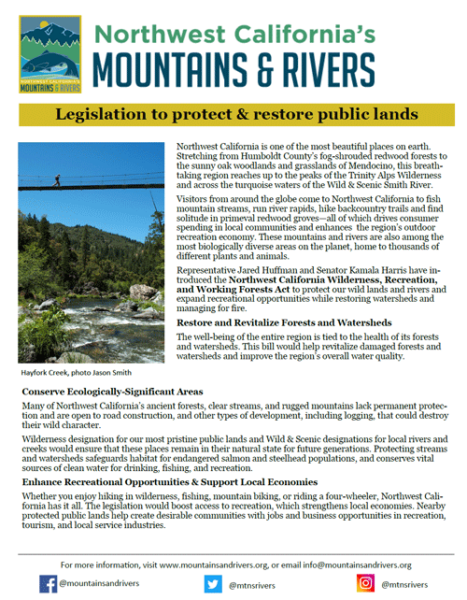 Congressman Huffman and Senator Harris’ Northwest California Wilderness, Recreation, and Working Forests Act is comprised of 4 main components. Click here to download a PDF that summarizes the proposal. Click on the links below for a description of each.